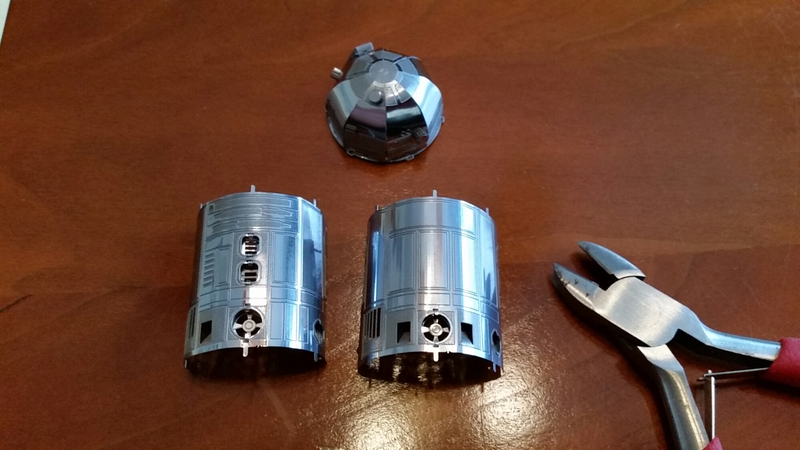 I was recently given a kit from our Metal Earth collection. 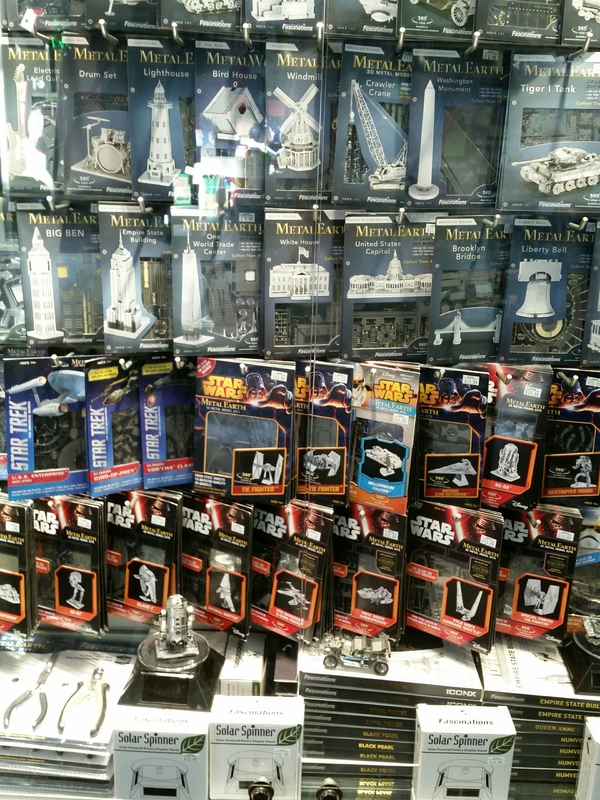 These kits come in many varieties, including several Star Wars models. 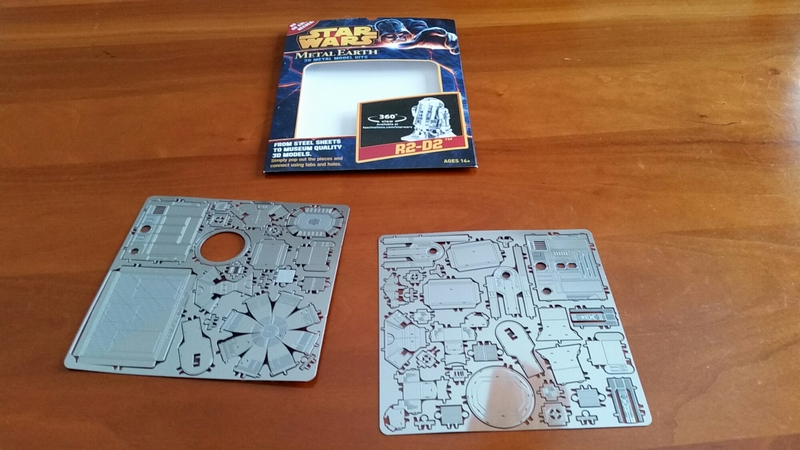 The kit includes 2 metal sheets of pre-cut parts that just need to be punched out. 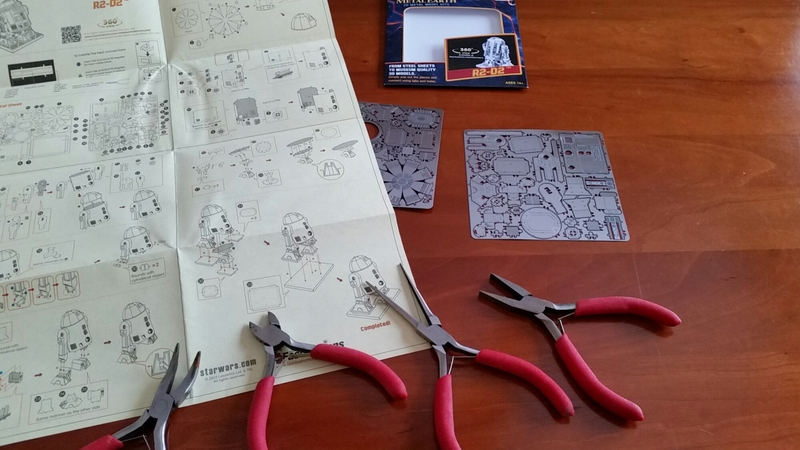 Pictorial instructions are included too, but you’ll need some small tools to complete construction. 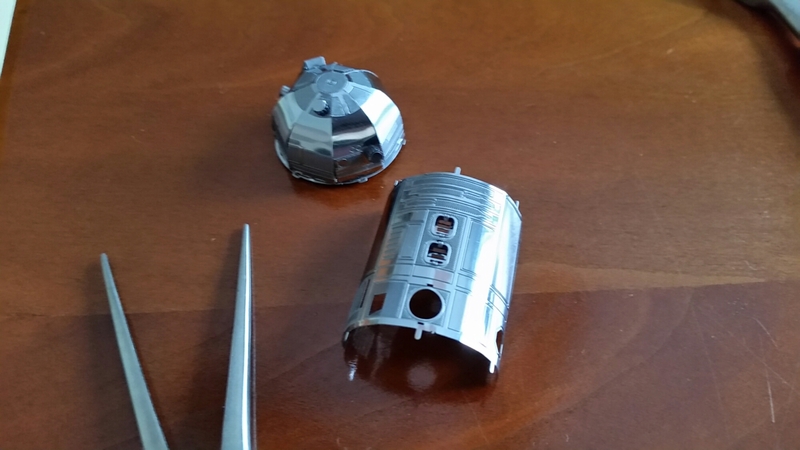 The first step was assembly of the domed head. 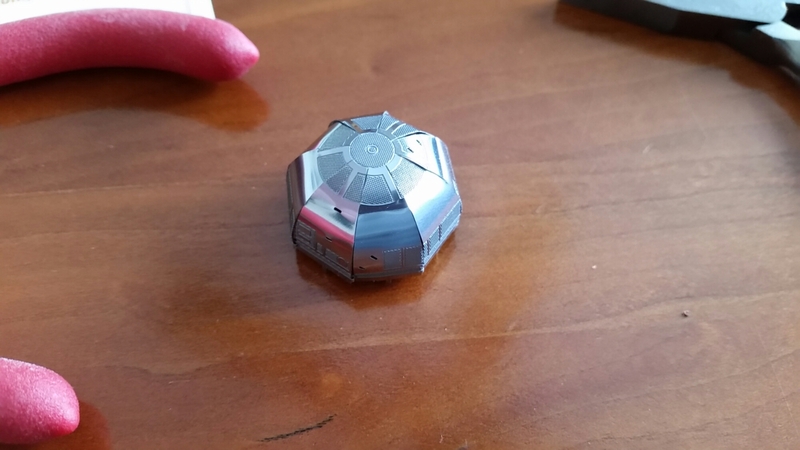 I thought this was going to be very difficult because of the curved shape, but it went quite well. I was on my way. 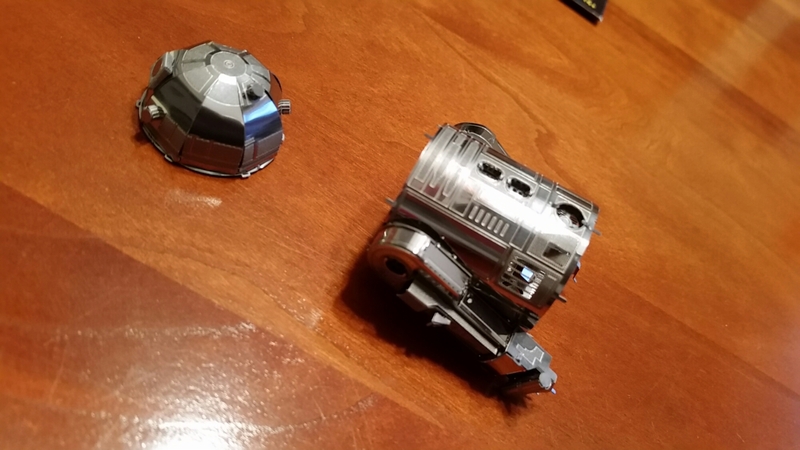 Next I needed to form the two halves of the main body. Curving the pieces was pretty easy because they’re so thin. A couple details needed to be added to the inside of the body halves before they could be joined. Next it was on to the legs. They were much more complicated than any previous steps. But I was ready for a challenge. The legs had to be attached to the body before the head. 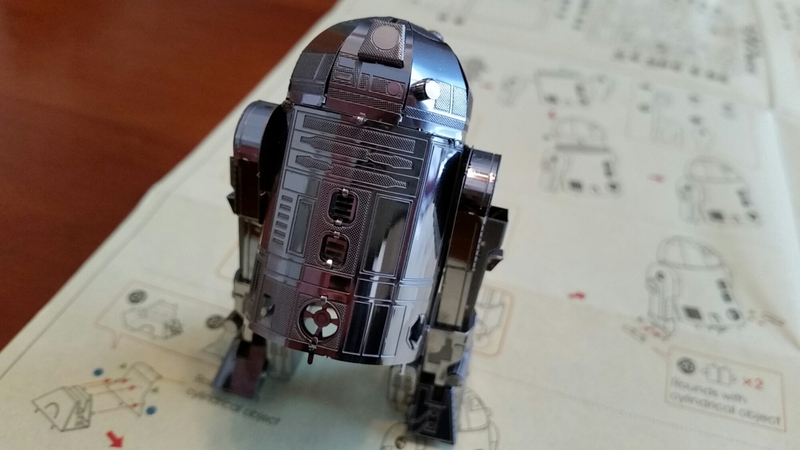 R2 is really taking shape now. The feet may be the hardest part of this kit but they’ve worked me up to it. Haha, he looks like he wants to help. See all the detail in his feet. There are several parts with lots of folds involved but it all went smoothly. 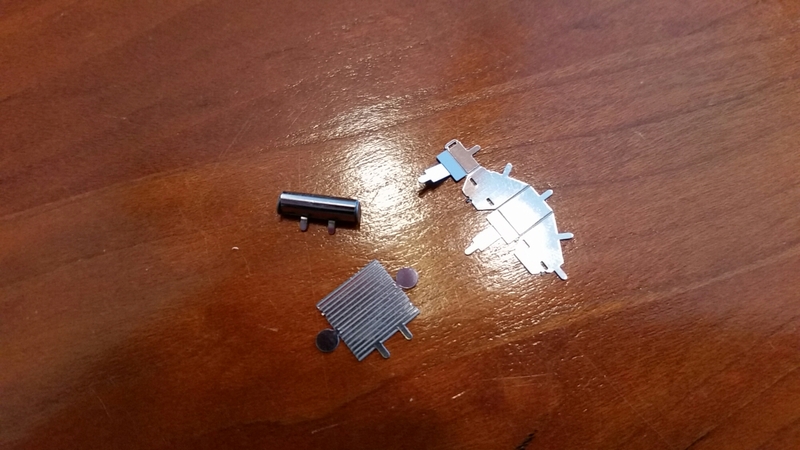 These are some of the parts used to make his center foot. 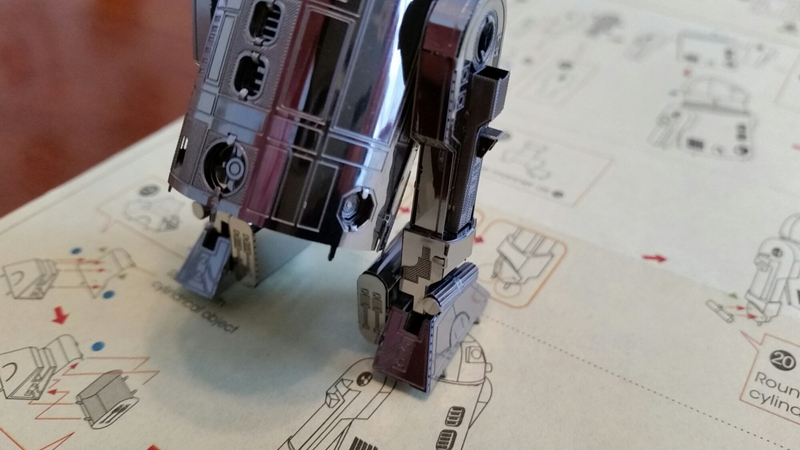 Now the center foot parts are attached to his bottom. 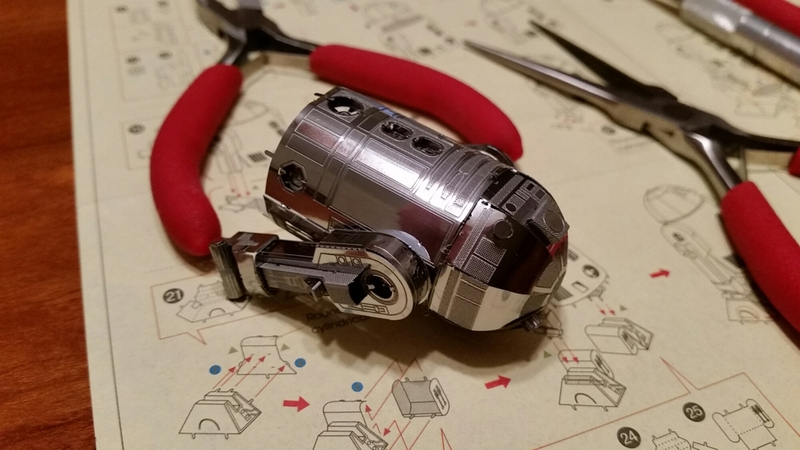 He’s almost done! Time to mount him to the display base. I spent about four hours over two separate days on this little project. I decided to split it up because my eyes were getting a little tired. The tabs and slots are very small. 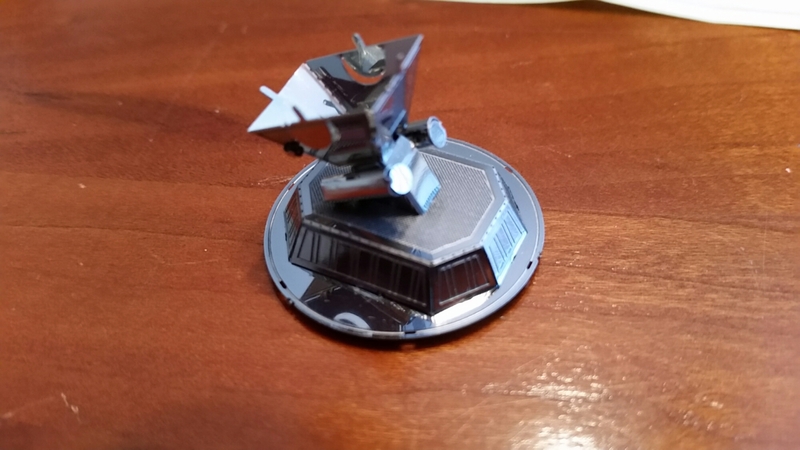 I may use my magnifier lamp for my next kit. 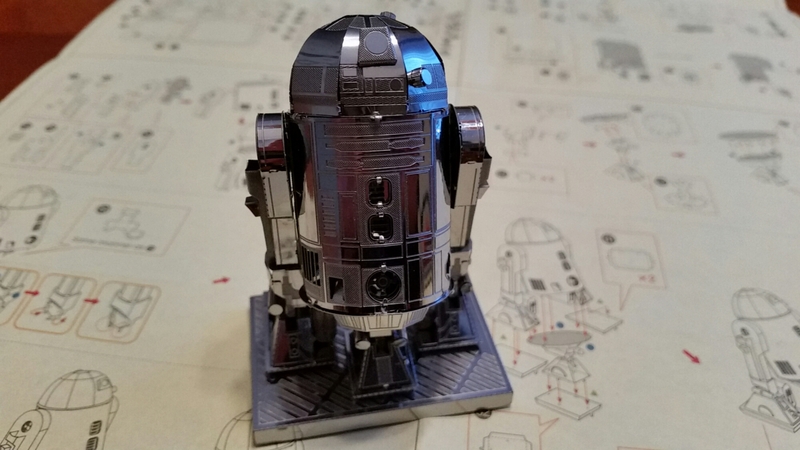 Overall I really enjoyed making R2-D2. 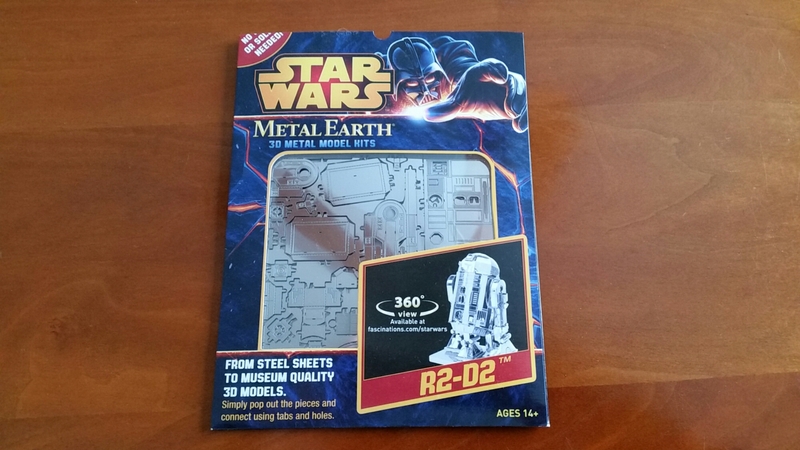 I was concerned when I first opened the package that the metal sheets might be sharp. 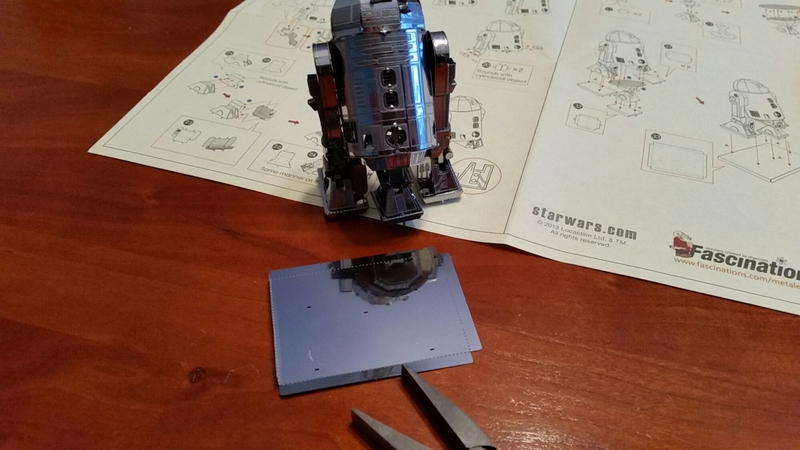 I imagined poor R2 would end up all bloody from my cut-up fingers. However, I never cut myself through the entire process. 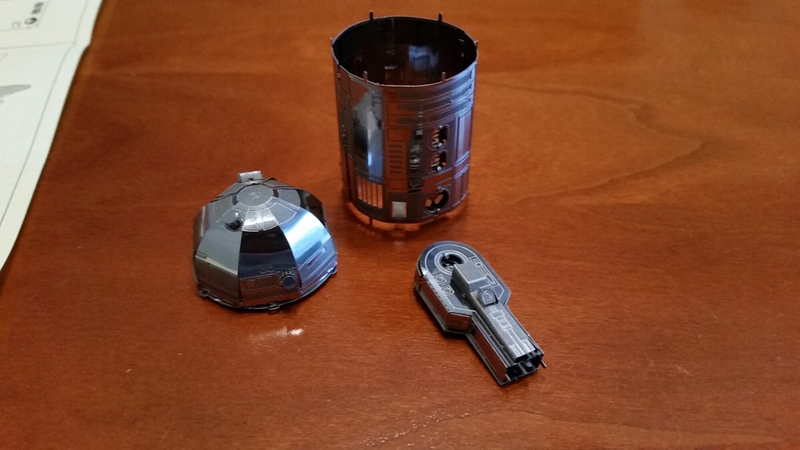 Here is a little video of R2 on one of our solar powered spinners. He looks great in the sunlight.